Akina Mama wa Afrika (AMwA) is a feminist-Pan-African leadership development organization that was founded in 1985 by a group of visionary African women in the United Kingdom but later relocated to Africa with headquarters in Kampala, Uganda. Our work is rooted in feminist principles and beliefs guided by the Charter of Feminist Principles for African Feminists which define our leadership development programme and movement building activities. AMWA provides strategic direction in key Pan-African networks including NGO CSW Africa, Solidarity for African Women’s Rights and the Gender Is My Agenda Campaign. AMwA also has consultative status with the United Nations Economic and Social Council. We envision a world in which African women are politically, economically and socially autonomous and are champions of change in their lives and society. To strengthen the individual and collective leadership of African women, forming strategic partnerships, to tackle patriarchy and attain gender equality and women’s empowerment for a just and secure Africa. AMwA believes that if feminist and transformational leadership capabilities are enhanced, feminist research and knowledge is applied, women’s rights networks and strategic partnerships are strengthened for sustained engagement, and African women’s voices are amplified in critical spaces, then a critical mass of feminist leaders will be developed and women’s political, economic and social status will be improved. AMwA’s flagship program is the African Women’s Leadership Institute (AWLI) which was launched in 1997. Renowned for her holistic P.O.T (Personal Mastery, Organizing Skills and Taking Action) training framework. 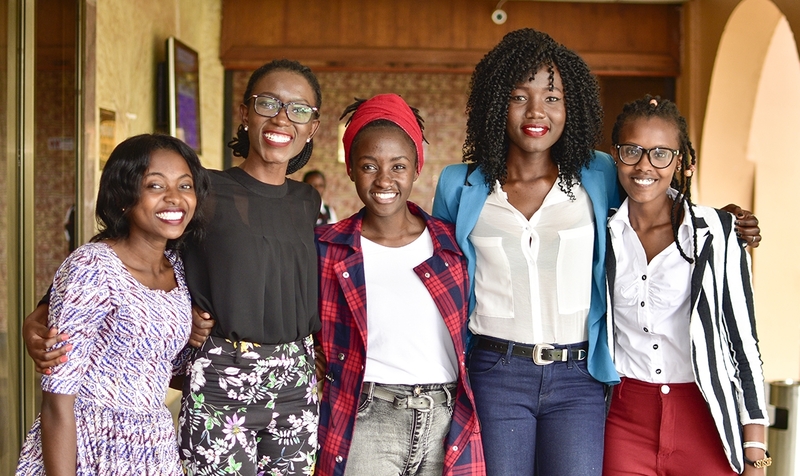 It aims at developing a strong cadre of feminist leaders at personal and collective levels to effectively influence policy and decision-making. The programme targets young African Women aged 18-35 in various spheres. Over 5000 women have participated in the training at national, sub-regional and regional levels. The alumnae bear testament to the positive impact of the AWLI in their personal and professional lives having deepened their conceptual and theoretical basis of feminism and its relevance to development in Africa. AWLI alumnae have been very instrumental in active lobbying and advocacy for policy and practice changes and have gone on to occupy positions of leadership in their countries. Feminist Movement Building through support to the African Feminist Forum at the regional level and at national level in Uganda contributing to the strengthening of feminist voices and aspirations. Documenting African feminist epistemology seeking to change African women’s narratives, by documenting women’s lived experiences through oral herstory and conducting feminist research that has informed our feminist leadership training and advocacy work.